Pregnant or not, my absolute love and adoration for athleisure continues. I used to live in a world of power suits and skirts and tights and heels and meetings and stress. Now that my everyday life calls for more of a relaxed look (understatement of my life) and meetings have been replaced by chasing around a toddler tornado all day, I’m ALL about that athleisure life. I splurged on this hoodie at a local boutique a couple of weeks ago. I blame the pregnancy hormones and wanting to be able to fit into something non-maternity. But I’m glad I did, because it’s so soft and I’ve been wearing it all the time. (Scroll down to the bottom of the post to see all of my favorite hoodies, at all different price ranges.) This one has been a go-to of mine for years (and it’s less than $30!). And yes, I’m wearing these shoes again. Actually, these days, I’m never NOT wearing these shoes. They are SO comfortable and have a ton of support, and they’re super cute. AND they’re less than $75. For all my pregnant mamas – these maternity leggings are AMAZING. I found them last week and I’m never looking back. They’re similar to leggings at department stores, but like half the price. Oh, and guess what? I joined a gym. Nothing like waiting until I am almost 20 weeks pregnant! Before getting pregnant I worked out almost every day at home. Yoga, running, Tone It Up workouts, light weights, etc. Fitness has always been a central part of my life (remember this post and my post-baby workout experience?). But, I let that go once I found out I was pregnant. Why? During the First Trimester I was just way too sick to even think about working out. But then the Second Trimester rolled around, and I still didn’t work out. I think I was just scared. I didn’t want to overdo it. I wanted to be careful. Well, I finally made the leap with a friend, and we joined a gym. We’ve been going 2-3 times a week, and I love it. I forgot how great working out makes me feel, and how much I need it. For my body, for my baby and for myself. How do you make yourself a priority, despite all of the craziness going on around you? I’d love to hear in the comments below! As always, THANK YOU for taking the time to visit my little corner of the World Wide Web! Athleisure is my life!!!!!! You look so cute!! I love that sweater its so cute! You look so stunning lovely lady. I am a big athleisure fan myself! This outfit is super cute. 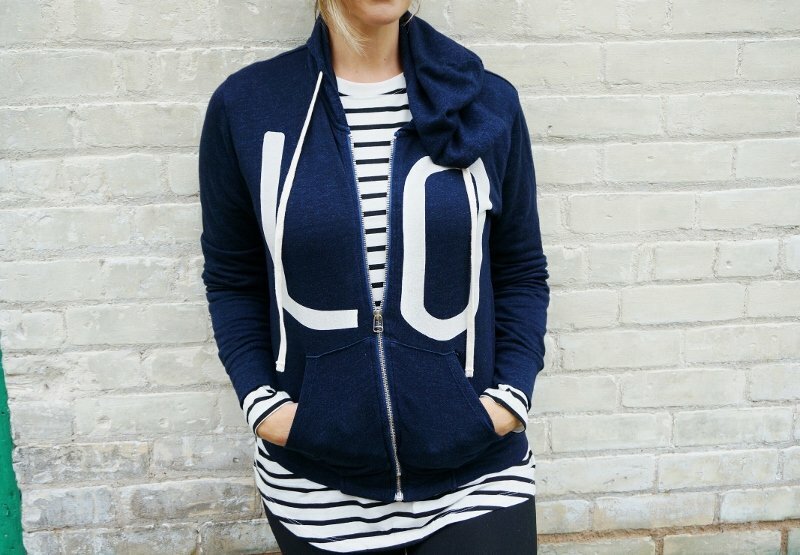 Cute look, the stripes are perfect peeking out from the hoodie. Looks comfy!! I’ve never even heard of athleisure. I love it! 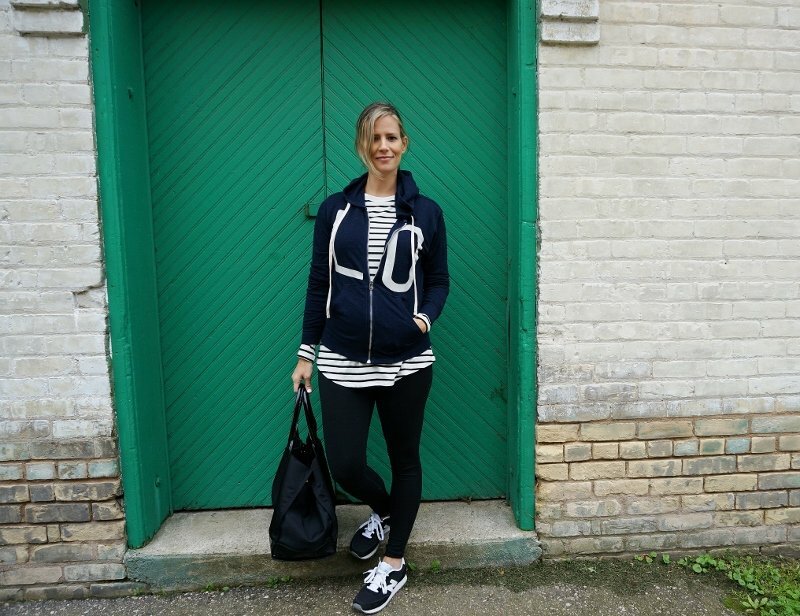 Love Athleisure…so comfy and so cute all at the same time. I need that hoodie. It’s adorable! Super cute, super comfy and you still look fab! Oh I love that hoodie!! You look so fab in athleisure! I’m so glad Athleisure is in! It’s the best mama uniform! Where has this been my whole life? Athleisure looks and sounds so comfortable and amazing. I definitely need to try them out! 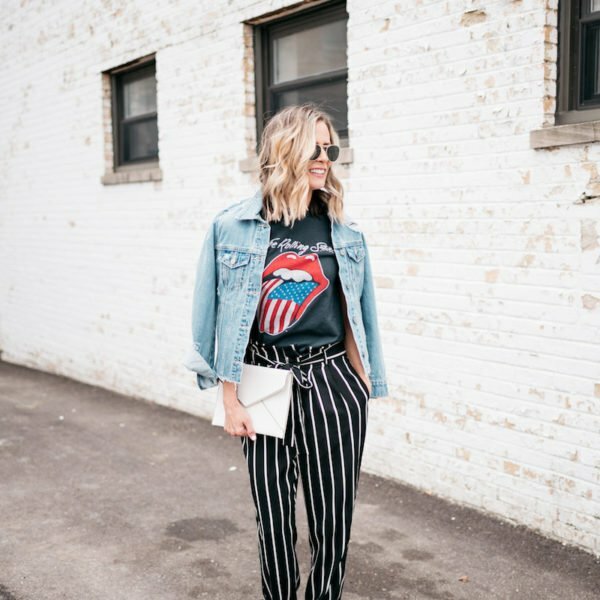 I am ALL Over the athleisure trend! Love it! ugh I guess I should be motivated now to get back in shape! Comfort is key! Love that hoodie!